With the Twilight Concert Series wrapped up for the year, students may be looking for a new venue for free entertainment. For students of Salt Lake Community College, they need look no further than the Grand Theatre at South City Campus. With ticket prices normally ranging from $10 to $24, most theater-goers wouldn’t consider the professional-quality performances offered at the Grand to be terribly expensive, but a SLCC OneCard provides students with an even better deal. “Students, with their OneCard, get a free ticket to any of our events that we produce,” said Richard Scott, Executive Artistic Director for the Grand Theatre. The offer also includes discount tickets for up to four guests. 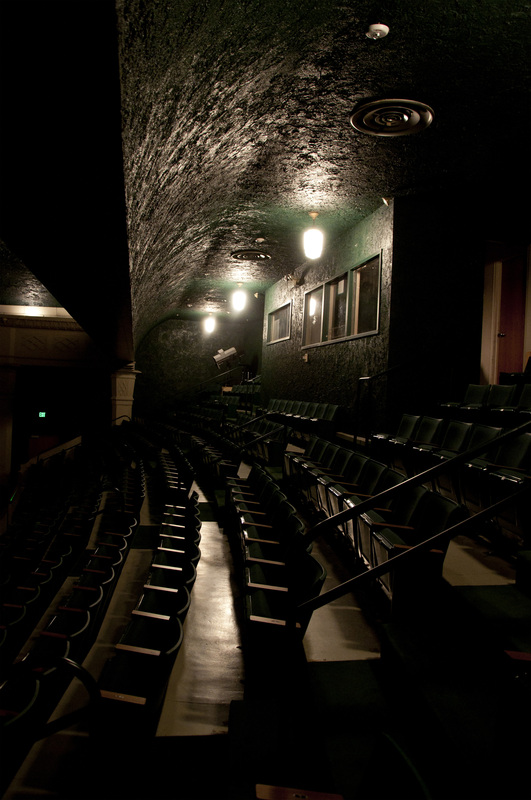 The Grand Theatre is a multi-use performance space. It’s a venue for both student and community events, but many students don’t realize that it’s also been a home for independent local theatre for over 20 years. “The Grand Theatre is unique in the sense that, although there isn’t a theatre degree [at SLCC], we utilize students frequently. Students are occasionally in the productions, but they’re also in technical side of things,” said Scott. The Grand Theatre Foundation, which produces the shows, brings both fresh and veteran talent together for a wide variety of performances. “The thing about the Grand for me is that we’re a community theatre based company. We bring professional standards to it. For instance, in ‘The Wizard of Oz,’ I have totally inexperienced people, to Max Robinson, who is one the finer equity actors we have in the region. It’s an interesting dynamic,” said Scott. Performances this semester are already underway. “We’re just finishing up ‘Always…Patsy Cline,’ which is a wonderful tribute to that singer,” said Scott. This musical celebrates the life of one country music’s most famous vocalists and features performances of a number of her hits, including “Crazy” and “I Fall to Pieces.” The show has been running since August 25 and can be seen every Thursday, Friday and Saturday until September 10. Next up is “The Wizard of Oz,” which will run from October 13-19. This family friendly show is based on the classic film. There are a number of themed events running up to the launch, including a movie sing-along on September 16 and an ongoing ruby slipper-decorating competition sponsored by the theatre. The Grand Theatre Foundation’s final performance taking place this semester is a holiday tradition which will be celebrating its 10th season. The performance days are December 9, 10 and 12. These days, the performing arts are facing particular challenges. It can sometimes be difficult to find a young audience for this kind of classic entertainment while competing with movies, television and the internet. Performance details for these and future performances, as well as SLCC and community related events can be found at www.the-grand.org.